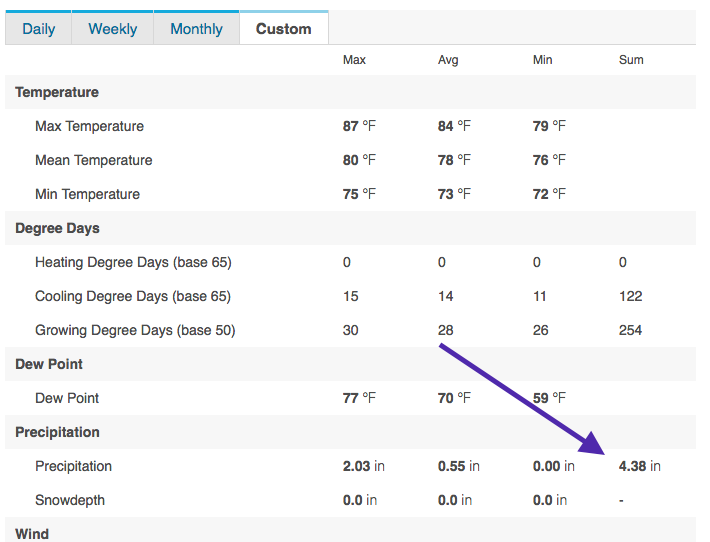 While individuals can put up weather stations to report to weather underground, it's also a great place to go find local weather data and history. 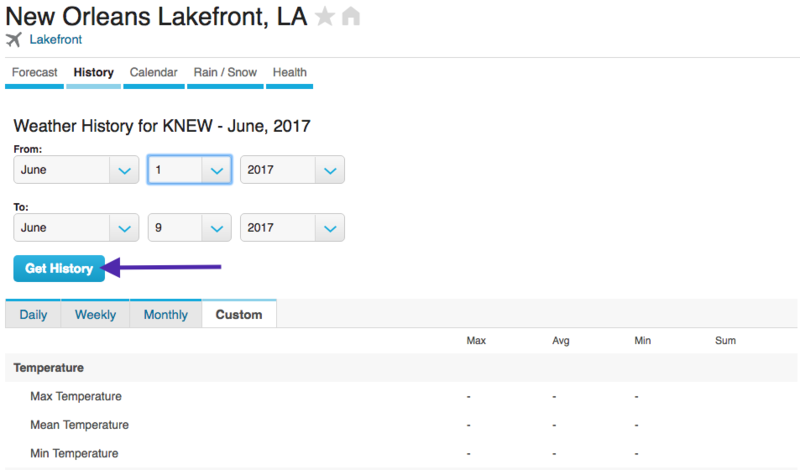 In this activity we'll walk through how to collect recent rainfall data for the New Orleans area from the Lakefront Airport station. 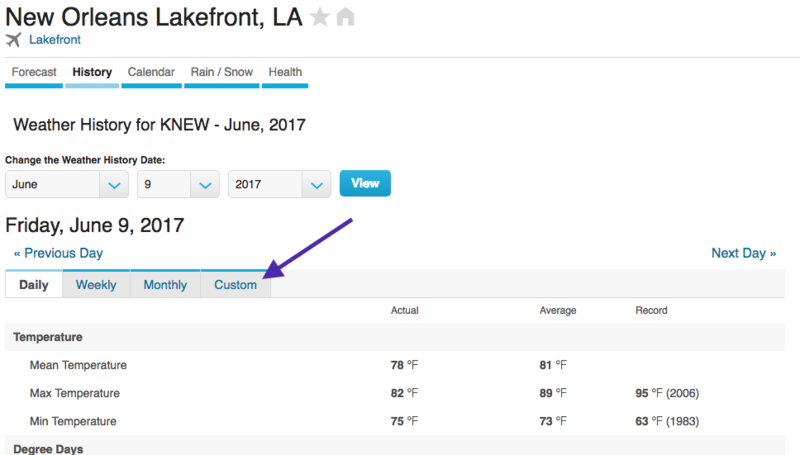 This is the link for the Lakefront weather station on Weather Underground: https://www.wunderground.com/q/zmw:70146.3.99999. From here you can see the forecast as well as the weather history for the site. Click the tab that says "History"
This is really great! I would also recommend NOAA's Climate Data Online Tools (https://www.ncdc.noaa.gov/cdo-web/datatools) to people interested in looking for historical weather data: it's way more user friendly than it used to be, and there are some cool options for visualizing data if you need something to drop into a presentation or report.